← Mosaic Studio Nearly Completed and Tree On Display! Our Lady of Roses Has Landed in San Jose! I haven’t been in my studio to work on art yet, but I’m pretty sure I will get there this weekend. (YAY! Much needed and long overdue.) That said, I am pleased to report that “Our Lady of Roses” has landed –safely– in San Jose, CA. 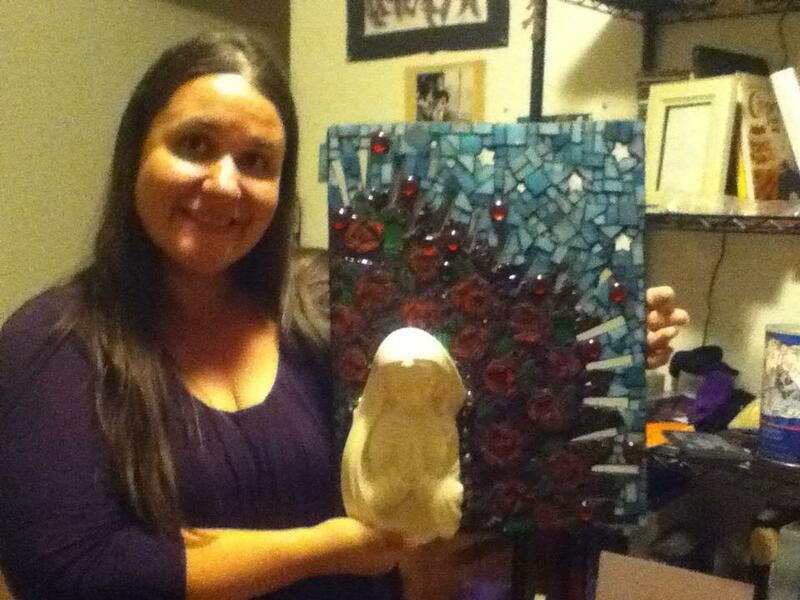 Here’s a quick snap of my beautiful cousin, Mirra, with her long awaited mosaic Mary. More pictures to come when Our Lady finds her spot in the Divine Miss M’s home. This entry was posted in Finished Work and tagged mary, mosaic, san jose, virgin mary. Bookmark the permalink.